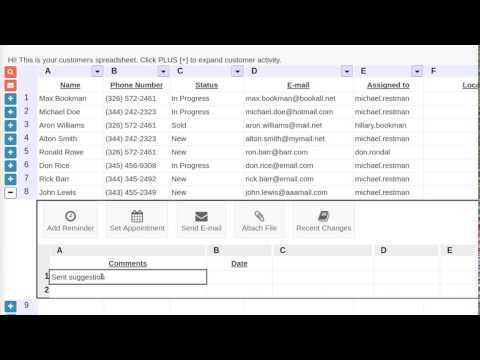 Simple CRM System is a super-simple CRM system for small businesses, that allows you to gain the benefits of modern, advanced CRM systems, but keep working in the same way you like - using a spreadsheet. In our spreadsheet you can set reminders, attach files, set appointments, sync with his/her Google calendar, send e-mails and more! All from inside the spreadsheet you love. Simple CRM System no tiene ninguna noticia disponible.